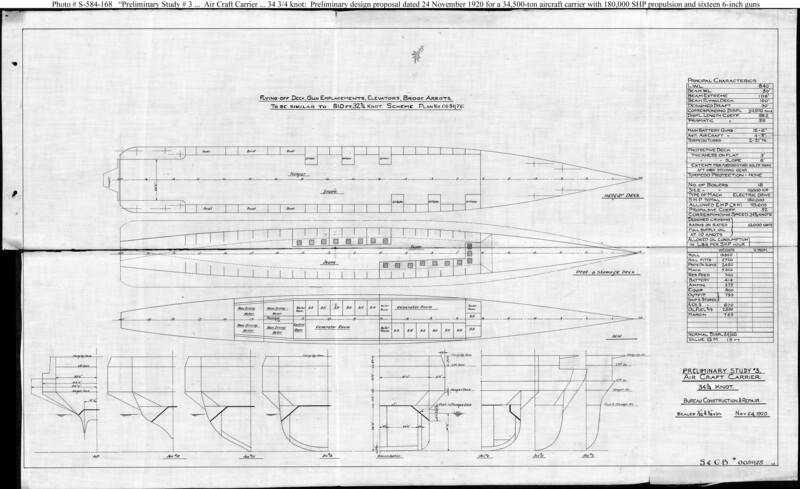 This plan provided sixteen 6-inch guns, electric drive machinery, and a speed of 34.75 knots in a ship 840 feet long on the waterline, 80 feet in beam on the waterline, and with a normal displacement of 34,500 tons. Note: The original document was ink on paper (black on white). It was scanned in two parts, top and bottom, and reassembled digitally.